Pre-orders have opened for the Galaxy Note 9, and there’s a pleasant surprise. Anywhere you buy it will cost the same: $1,000 for the 128GB version and $1,250 for the 512GB model. OK, maybe those prices aren’t exactly pleasant, but it is refreshing to see everyone get on board with Samsung’s unlocked pricing. Carriers traditionally set their own rules when it comes to Android phones, making it difficult for customers to figure exactly how much the phone actually costs. While the monthly bill will still vary depending on whether you’re on a 24-month payment plan, the final cost will be the same. Some carriers have already sweetened the pot, however. VerizonRemove non-product link and AT&TRemove non-product link are offering a buy-one-get-one deal on the new handset (128GB only). Sprint is knocking 50 percent offRemove non-product link the price with its Flex lease. Best Buy is also offering $200 off the priceRemove non-product link of the phone with activation through one of the major carriers. T-MobileRemove non-product link and SamsungRemove non-product link are also accepting pre-orders, but there aren't any deals other than trade-ins. Additionally, all pre-orders will receive a choice of 15,000 V-Bucks for Fortnite (worth $150) or a pair of AKG N60 noise-cancelling headphones ($300 MSRP). To get both, it’ll cost an extra $99. Samsung unveiled the Galaxy Note 9 at Unpacked 2018 this week, and it brings some serious power, with a 6.4-inch OLED screen, Snapdragon 845 chip, and 4,000mAh battery. There’s also a souped-up S Pen that can control your phone remotely, and some AI smarts in the camera app, but it didn’t bring the kind of enhancements and innovations that the Note line is known for. In fact, the camera is the exact same as the one you get in the Galaxy S9+. 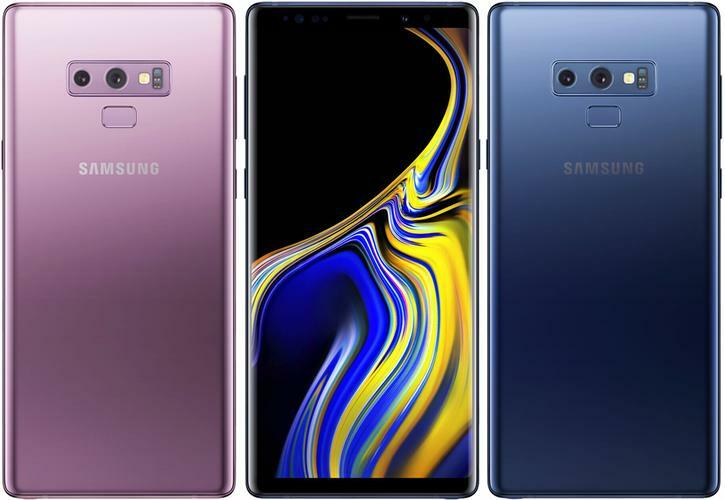 The Galaxy Note 9 is available in purple and blue. It's due to hit shelves on August 24.